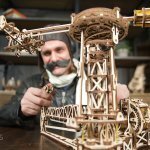 HOME /Blog /New collection from UGears, the U-Fidget Happy New Gears. The season of Christmas shopping took its official start and the New 2019 Year is almost here. In anticipation of upcoming festivities, UGears created its new collection of stress-relief toys, the U-Fidget Happy New Gears. 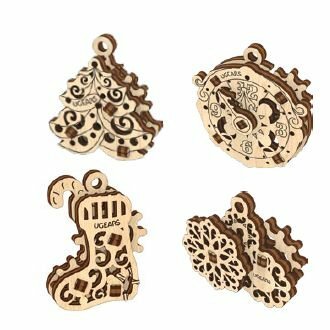 The Happy New Gears is a set of small size themed toys that can be used as both, stress-relief and keychain charms. Made with natural wood materials, they feature an impeccable design and are safe to use. The U-Fidget Happy New Gears details and specifications. Each toy in this set is multifunctional. The small loop at a corner of each model makes it ideal as a keychain charm. At the same time, with a small spinning element inside, they are excellent stress-relief toys on the go. 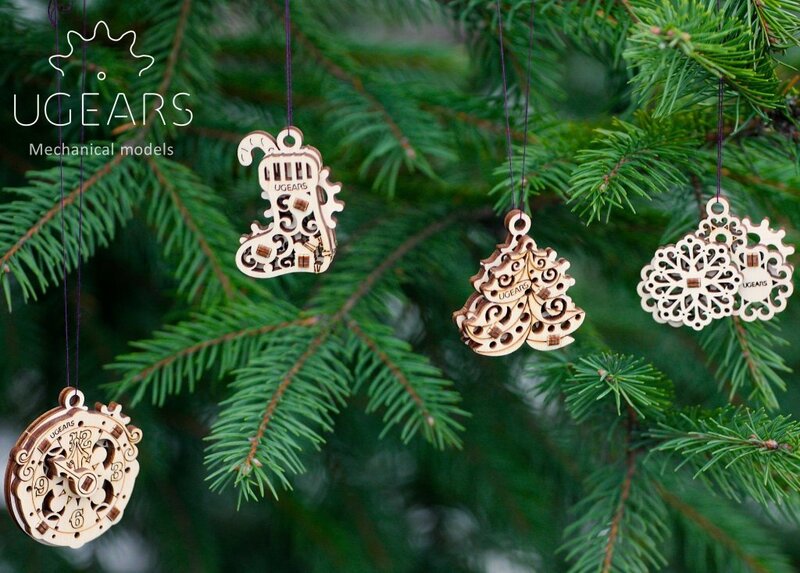 Additionally, each of four miniature models is designed in holiday theme and makes the unique and one-of-a-kind Christmas Tree ornament! UGears U-Fidget Happy New Gears, excellent gifts for the season. UGears U-Fidget Happy New Gears is a series of small themed toys that are ideal to give to your colleagues and business partners as Christmas and New Year gifts. You can order UGears U-Fidget Happy New Gears from our online catalog now.